Comment Google has received massive fines for its recent stewardship of Android, but there was no conspiracy or underhand tactics about how it got there: Google won this monopoly on merit. Today, 10 years after the first Android phones launched*, Android is closing in on 90 per cent market share of the world's smartphones. Android won because Google gave it away for free, say critics. You can't beat free. Google's windfall profits in advertising helped subsidise the giveaway. But there's a problem with this theory, when you look at the real costs that faced OEMs a decade ago. Android wasn't "free" once royalties had been accounted for, and the OS was only a fraction of the cost of making a phone. As Hutchison's Frank Meehan, who was building phones for the giant network operator under the INQ brand, pointed out in August 2011, once you added up the hidden costs and factored in the risk, Windows Mobile was actually cheaper than Android. This became a red-hot issue that very month when, in a panic buy, Google spent $12.5bn on Motorola's phone business to arm itself with patents. The first Android: HTC's G1. And there were alternatives. 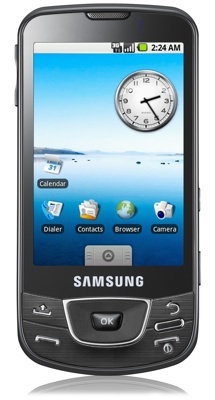 The ageing and uncompetitive Symbian had been made free in 2008, by which point the LiMo Foundation claimed to have launched over 20 models. But none quite fitted the bill. When the iPhone was announced, Google's Android team was able to "pivot" more rapidly than anyone else to the new slick, full-touch paradigm people expected. Google had been making a platform for a QWERTY business communicator as Eric Schmidt later admitted, Google's preoccupation was with Microsoft in the enterprise (the received wisdom was that BlackBerry's dominance of enterprise email would fall to Microsoft, and Windows Mobile was doing very well in this niche). And that's exactly what the first Android phone turned out to be in 2008: the HTC G1. It was a slicker Windows Mobile. Android Inc founder Andy Rubin would later say this was a 0.8 release pushed out in time for Christmas. "It is every bit as slick, quick and fluid as the iPhone's UI and puts the likes of HTC's Windows Mobile-based TouchFlo 3D right in the shade," Alun Taylor wrote in our review. Despite rotten battery life and lacking features like a 3.5mm audio jack (the irony) and Office file viewers, it showed four years of solid work. As is now well known, Rubin had a roadside epiphany on seeing the iPhone launch presentation in January 2007, thinking: "We're going to have to start over." That wasn't much evident in the G1, but the fruits of that work came six months later when the full-touch successors appeared, the HTC Vodafone Magic and HTC Touch Diamond. We need to remember just what had happened to the market in those years. Apple had raised the bar for the user experience, but was cautious about scaling too rapidly. It would be four years before Apple abandoned its carrier exclusives; only one network per country was allowed to sell the iPhone. As El Reg wrote last year: "That period (2007-2011) was crucial. Long enough to develop a platform, and a range of products that use that platform. The former leaders have become footnotes because of what they did or didn't do in that period." But sales people just want to sell stuff: the retail stores, and the network operators who didn't have iPhones – and yes, even those who did – all wanted to sell a lot more phones. For them, Windows Mobile wasn't really mass market, and Symbian did just did not cut it any longer. Can you give us something competitive? the retail channels asked Nokia and Symbian. Well, we don't currently support multitouch virtual keyboards, Symbian replied – you have to press one letter at a time really carefully – but it's on our roadmap! (Symbian didn't have a multitouch virtual keyboard until late into 2012 – it was belatedly added to the Nokia 808 PureView). 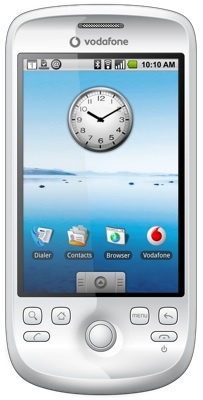 I recall toying with Voda's HTCs around Easter 2009, and being seriously impressed. Here, at last, was something a salesperson at Carphone could actually sell. Here was something you could tote around and not feel like a refugee from the previous century. It had a graphics compositor and slick UI feedback, and a multitouch display. The first Galaxy that autumn sealed the deal, when we noted that Androids were now coming "thick and fast". And from then on operators and retailers fell over themselves to give the new platform a boost. Developers needed no encouragement – they knew Java well, rapidly giving the platform thousands of apps. A few months later, Steve Jobs recognised that this was a serious competitor – and a sincere imitation. He wasn't best pleased. Biographer Walter Isaacson quoted the Apple boss's reaction to the first Google Nexus phone in January 2010: "I will spend my last dying breath if I need to, and I will spend every penny of Apple's $40bn in the bank, to right this wrong," fumed the fruitarian. "I'm going to destroy Android, because it's a stolen product. I'm willing to go thermonuclear war on this." And he did go to war. He didn't succeed in destroying it, though. Since then Google has had plenty to attract the attention of competition regulators. The omertà that the European Commission encountered when trying to probe Android contracts was an indication of how power had shifted: phone makers and operators now lived in fear of the giant. Attempts to innovate that Google didn't like, such as Samsung's magazine UI, were quashed. But Android's success can be measured by the fact that the Commission has given up on the industry coming up with alternatives to Android – it deems alternatives to Google within Android as more realistic. It's worth recalling the words of Qualcomm executive Sanjay Jha in 2008. Qualcomm was an Open Mobile Alliance member and Android supporter. Fragmentation suited Google, he mused, because whatever you ran, Google's monopoly web services like Gmail, Maps and YouTube would still work. "It is debatable if fragmentation of the mobile OS market was what Google had in mind when launching Android; but this will do the company no harm," noted ex-Vulture Bill Ray. * Wait, wasn't Android 10 last year? True, but like the Queen, tech products get two birthdays – one for the announcement (2007) and one for shipping product (2008). Unless you're the Apple AirPower charging mat, and never ship.